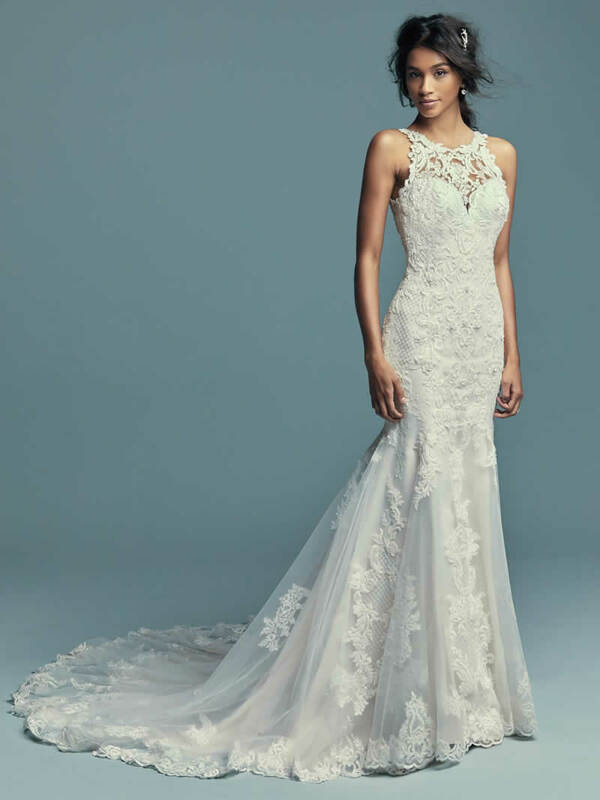 Classic yet striking, this fit-and-flare wedding dress features beaded lace motifs, crosshatch details, and Swarovski crystals over tulle. 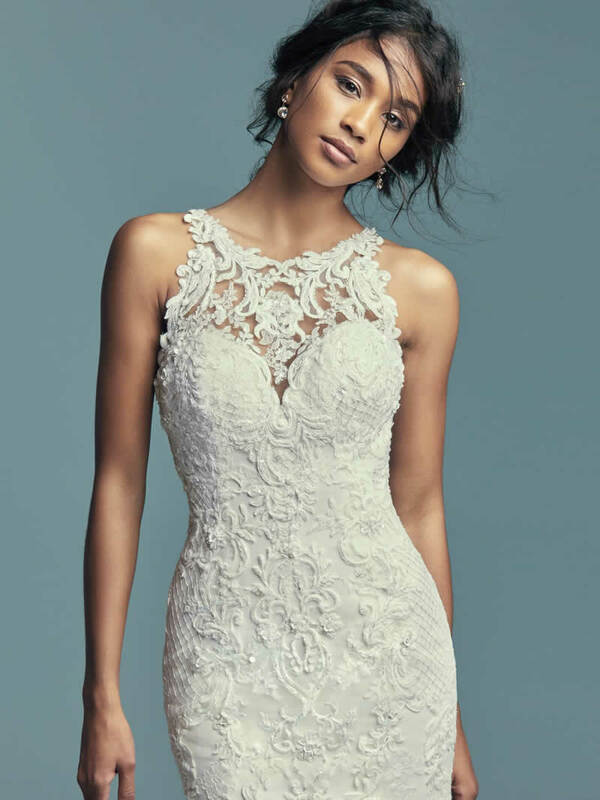 Lace motifs adorn the illusion halter over sweetheart neckline and illusion back. 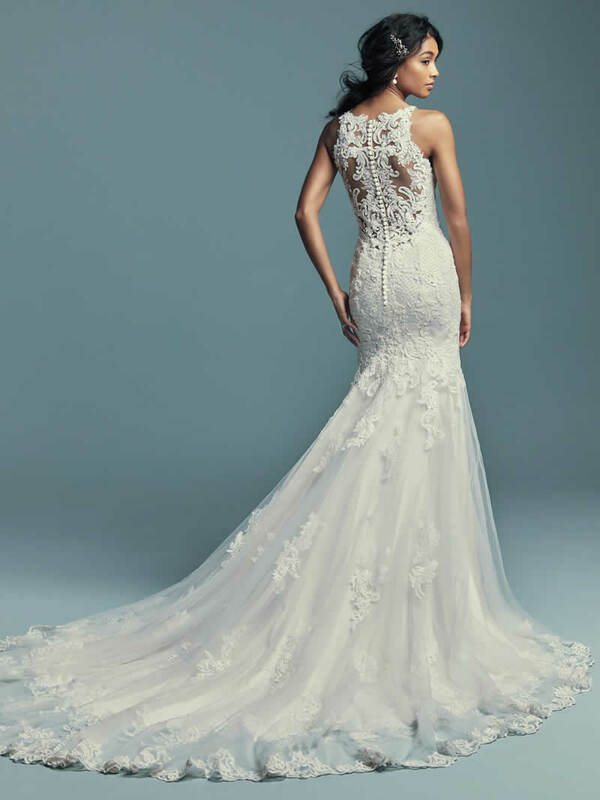 An illusion double-lace train completed the elegant romance of this look. Finished with covered buttons over zipper closure.